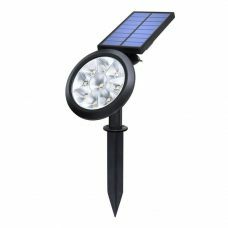 Outdoor Ground Solar Spot Light with Separate Solar Panel for a garden, lawn, tree decoration is a high-quality durable aluminium cast waterproof product with multiple features. 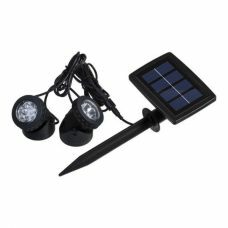 Improved Solar Panel, Powerful Lithium battery and Adjustable lighting angle deliver long-lasting light. 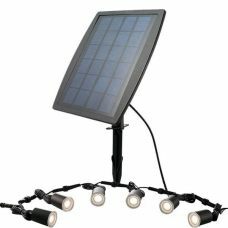 Separated Solar Panel with 3m cable allows installing and using the lights even in shaded areas at home, garden, backyard, lawn etc. 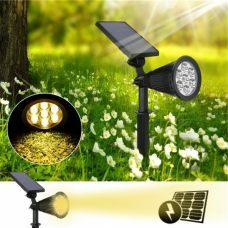 Outdoor Ground Solar Spot Light with Separate Solar Panel for garden, lawn, tree decoration is a high-quality durable waterproof product with multiple features. The lights with a ground stake are made out aluminium and have improved lifespan. 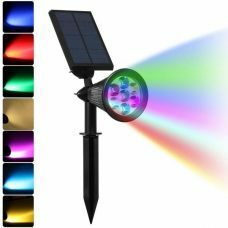 The Spotlight is fully operated by Solar Energy with efficient separate Solar Panel and powerful built-in rechargeable Lithium battery. 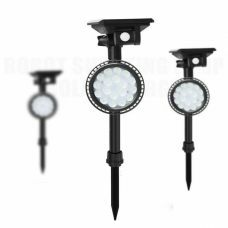 Adjustable light head delivers reliable long-lasting illumination to highlight any garden or landscape features including lawn, tree, sculptures etc. 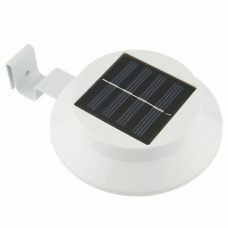 The outdoor Solar Powered Spot Light has a built-in automatic daylight sensor that activates the light when it gets dark so it does not require daily maintenance. 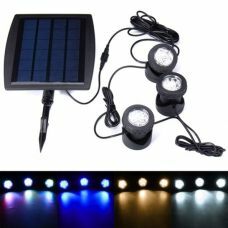 The solar spotlight is a DIY lighting product with a universal ground mount for easy installation. 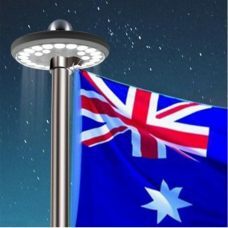 The self-contained water- and weatherproof lighting device does not require wires and can be easily set up anywhere the sun shines including the home, garden, public park etc. - Powerful 2200mAh Lithium battery with extended performance life provides longer lighting. - Adjustable lighting head angle for highlighting any landscape features. - A separate Solar Panel provides more flexibility in installation and operation of the product with 3m cable for the best light coverage. - Durable aluminum body and a longer lifespan up to 5000 hours. 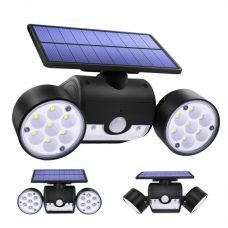 The universal solar powered spot light delivers reliable long-lasting lighting and is ideal for maintaining decoration lighting around the house, garden, patios, side and backyard, aisles, stairs, entryway, path, fence etc. 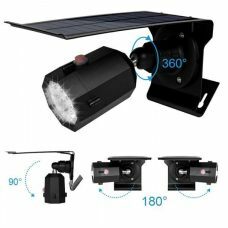 2 x Solar Powered spotlight. This set of solar lights is absolutely awesome at keeping my flag outdoor lit up from dusk! I used the ground stakes for the solar panel and light and have it stuck in the soil. The light is quite powerful for the small size. The flag is well illuminated! Great solution I have been looking for a while. Solar lights made my house fabulous! 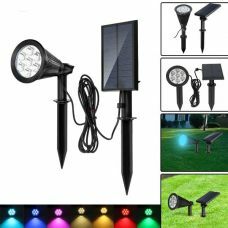 These lawn lights are nice as they are not very bright so in my case it is suitable to use them to light up my home from garden and backyard side. The item is easy to install as I placed them on the sunny side to make sure the panel receives as much light as possible. As the result I have noticed that the lights stay on almost till the early morning. The house looks fabulous! Thank you!! !